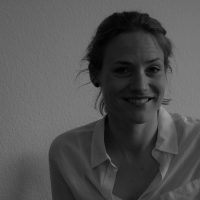 Sophie Bloemen is based in Berlin and writes, speaks, and organises on the sharing of knowledge, the commons, and new narratives for Europe. She co-founded and runs the Commons Network. She has worked as an advocate and public interest consultant for various NGOs on health, trade & innovation, as well as on cross-border cultural dialogue for Europe. She is engaged in a number of projects and political processes that explore new, creative institutions and collaborative models. How can the EU support the establishment of commons, which could in turn sustain the European project?